Have you struggled with your weight? Perhaps recently or what feels like your entire life? Do you pass by the mirror and put yourself down? Call yourself ‘mean girl’ names like fat and ugly? Have you tried countless diets from Atkins to Weight Watchers and maybe even the Cabbage Soup diet? You may take off the weight at first and then find yourself right back where you were, if not heavier! What you didn’t know in the past is that most of what you do to lose weight happens in your mind. So when you start losing weight, you begin to feel good about yourself. These good feelings draw in more feelings of feeling good and aid in your weight loss journey. Then, there is a moment where you may double guess how you are looking. Maybe you get comfortable with your loss and then indulge a bit in some not so healthy foods. This makes you feel pretty crappy about yourself and your weight loss efforts. And so a negative destructive cycle begins for you. Then you figure you may as well continue to indulge and soon you’ve gained maybe 5-10 pounds back. Then your old thought pattern creeps right back into your mind. You see yourself in the mirror and are the meanest person in the world. You call yourself fat, ugly and maybe even a failure. Perhaps you feel worthless and tell yourself that. When in your new clothes (the ones you got to reward yourself for all of your hard work and efforts) start feeling a bit snug, it begins reinforcing your thoughts. So you continue on being so mean to yourself until out of the blue you are back in your fat jeans and maybe needing to buy an even bigger size. Well, what you didn’t know then that I am about to share with you is that your mind is controlling how you look. If you are caught up in fat feelings, you will always draw that back into your life. Feelings of being fat actually attracts just that into your life. 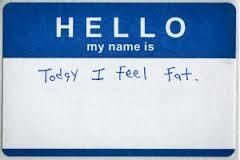 If you feel fat, you will start developing unhealthy patterns that provides to your life what you are asking for. Conversely, feelings of being thin will draw more feelings of being thin into your life. 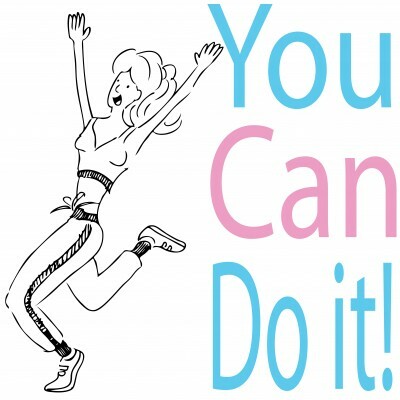 Yo-yo dieters know both feelings but if you have the belief that you will always have to diet, then you will always gain back your weight once it is lost. This is why your weight loss happens and then weight gain comes back. It is a pattern that is feeding off your state of mind. So now that you know this (and recognition is the first step to change), you CAN take the appropriate steps to changing your old patterns. You can finally free yourself from a lifetime of dieting and be happy with who you are today, right now. The next time you see yourself, practice positive self-talk. Tell yourself how beautiful you are. Believe how beautiful you are. Tell yourself how thin you are and how much you love your body. Make this a habit every day, several times a day, to repeat this positive self-talk to yourself. Even if you don’t believe it right at this moment, through daily repetition it will sink in to your subconscious how incredibly amazing and attractive you are. Then when you feel so good about yourself, you can begin your journey to life time weight loss using the law of attraction. Now you can envision yourself in your dream body. Hold this vision firmly in your mind and it will appear in your life in no time. 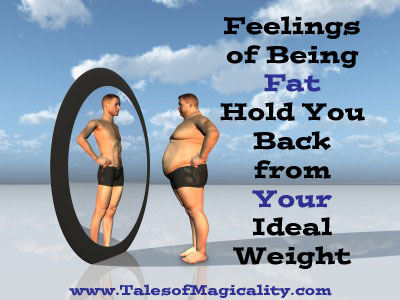 Imagine what it feels like to be your ideal weight and body type. Feel the feelings you have being there. Then Just have faith. You will succeed! !